forum.419eater.com :: View topic - I am "a ugly hillgoat"
I am "a ugly hillgoat"
Ms Monica has been trying in vain to send me my bank draft. 3 trips to WU had problems. I asked her for her office contact details so I could (abuse) call her. We have a DHL Gold account. Have it waiting and ready for when the DHL agent arrives. You are a ugly hillgoat!!!!!! That was definitely uncalled for! She has a lot of 'splainin' to do, Missy! Hey...the operative phrase was "ugly hillgoat." That goat is damned cute and looks like a big pile of sweet marshmallows. If there are some long eyelashes on the baby, I may just melt into it myself. That's not a goat, that's sheep. Sheesh, people. Very creative until I noticed that the guy basically had to stand in 1 place all night long due to his inability to walk with his pants at his ankles. HAHAHAHAHAH! That is one of the best insults ever! Great insult, I'm not sure about its worth as a description above your avatar though. 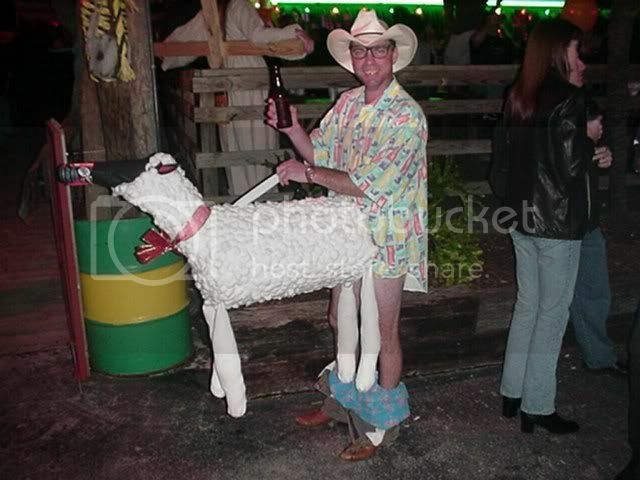 I was going to ask what the guy in the sheep costume does when his bladder's full, but there's just so many possibilities. Ignore her. You're a very attractive hillgoat and your parents love you very much. What an interesting thing to say... did you say you were located in Alabama, by an chance?